Radar as it is known today is arguably the most important long range sensor that is used in every facet of modern-day life. Using electromagnetic waves, this invention, only some seventy odd years old, has so many diverse applications beyond the original military applications for which it was designed that it has been often described as the greatest invention of the modern era. This presentation will trace radar’s military beginnings from around WWII to the many present-day diverse radar systems that impinge on our everyday lives perhaps without us realizing it. 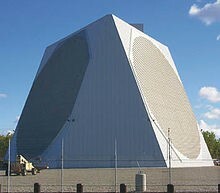 An explanation in layman’s terms of the basic operation of radar will then be followed by descriptions and illustrations of specialist radars that detect, track, image, recognize targets and map earth’s features both in military and civilian applications. The presentation will conclude with speculations on the future of radar. Dr Nick Shuley holds B.E. and M.Eng.Sc. degrees from the University of New South Wales and a PhD degree in Electrical Engineering from Chalmers University of Technology, Sweden. He was a member of the IEEE (1979-2010), and the Editorial Board of the Microwave Theory and Techniques Society (1979-2010). He has worked in the UK, and as a post-doctoral scientist in universities, and as a company consultant, across Scandinavia, Spain and Australia, including working on projects for the European Space Agency (ESA) and as a Visiting Scientist Stipend for the Spanish Government. He has been an Associate Professor in the fields of Electromagnetics, Electronics and microwave at RMIT University in Melbourne, and at the University of Queensland, until his retirement in 2011. He is published extensively and internationally on radar and other electromagnetic phenomena and has supervised over 20 Masters and PhD students. He still teaches in various areas of applied electromagnetics.